Archbishop of Detroit Allen H. Vigneron will celebrate the liturgies of Holy Week and Easter at Detroit's Cathedral of the Most Blessed Sacrament located at 9844 Woodward Avenue, between Chicago Boulevard and the Davison Freeway. The public is invited to participate. Several Holy Week observances also are planned at parishes across the archdiocese. Please see below for the schedule of Cathedral liturgies and a partial list of parish Holy Week events. In addition, those observing the holiday throughout the Archdiocese of Detroit are invited to supplement their local worship with special masses and services celebrated by Pope Francis, broadcast from the Vatican on the Catholic Television Network of Detroit (CTND-TV). Detroit Catholic also will be covering various Easter Triduum events and traditions throughout the Metro Detroit region. 8:30 a.m., 10 a.m. and 12 p.m. Easter Sunday, April 21: Masses of the Resurrection with choir and orchestra at Old St Mary Parish, 646 Monroe Street in Detroit's Greektown neighborhood. Parishioners from all age groups, walks of life and communities come together to celebrate Easter Mass at this historic downtown church. The shooting happened around 12:59 a.m. in the 18000 block of Fenelon Street, police said. According to police, the shooter and the victim, along with a group of friends, were standing in front of the location when someone made "disparaging" remarks about the shooter's friend. The shooter went home, got a long gun, returned and shot the victim multiple times. The shooter has been described as a black male in his 20s. He was driving a green Chevy Cobalt with plastic over the passenger rear tail-light. The victim was transported to a hospital and is in critical condition. Police are still investigating the shooting. If you have any information, call police at 1-800-SPEAKUP. Saturday's scheduled game between the Chicago White Sox and Detroit Tigers at Comerica Park has been postponed due to weather conditions. The game has been rescheduled as part of a split doubleheader on Tuesday, Aug. 6, with the April 20 makeup beginning at 1:10 p.m. and the originally scheduled game starting at 7:10 p.m.
All paid tickets from Saturday's game are valid for the first game of the split doubleheader on Aug. 6. For more information, visit tigers.com. A lakeshore flood advisory will remain in effect until 5 p.m. Saturday afternoon for Sanilac and St. Clair counties. The lakeshore flood advisory means persistent strong onshore flow will maintain high waves and water levels over the southern Lake Huron basin, including Saginaw Bay. Water levels will gradually decrease this evening as winds diminish. The high waves and water level will lead to significant beach erosion in some areas and localized lakeshore flooding before gradually improving this afternoon. Thirty-three-year-old Nathaniel Abraham was sentenced last week to 30 days in jail, which he had served. Abraham was 11 in 1997 when he was accused of fatally shooting a stranger in Pontiac. He was convicted in 1999 at age 13. He was released from state supervision in 2007, but his run-ins with the law have continued. Here is the ClickOnDetroit Morning Report for April 20, 2019. How dispensaries and venues in Michigan are celebrating 420, the unofficial marijuana holiday Detroit police release photo of gunman wanted for fatal shooting on city's east side Expungement fair Saturday aims to help Metro Detroit residents clear or reduce criminal records Weather: Rainy, chilly and breezy Saturday See the full forecast here. For those who are not aware, 420 refers to the cannabis-themed celebrations that take place annually April 20. But why does 420 represent smoking pot? Some claim the number is drawn from the California criminal codes used to punish the use or distribution of marijuana. The 420 code actually applies to obstructing entry on public land. Others say it was started by a group of high school students in Marin County, California who called themselves "the Waldos," and would meet at 4:20 p.m. after school to get high. During the Nov. 6 General Election, Michiganers voted to legalize marijuana for recreational use by a 56 percent-44 percent margin. Kushstock Festival Michigan: From noon to 10 p.m. Saturday, there will be a festival at the Auto City Speedway, located at 10205 North Saginaw in Clio. The festival will feature music, vendors, artists and food trucks. The event is free and open to the public. 6800 Soaring Eagle Boulevard in Mount Pleasant. Marijuana is not allowed on casino grounds. The event is free and open to the public. Greenhouse: The marijuana dispensary is hosting a barbeque on 420 that will run from 11 a.m.-3 p.m. at 103 E. Walled Lake Drive in Walled Lake. There will be raffles at the event that medical marijuana cardholders can join. 420 Festival: The 420 Festival will be held in downtown Bangor from 10:30 a.m.-10:30 p.m. There will be vendors, cannabis groups and food trucks there. It is free and open to the public. You must be at least 21 years old to attend. Bangor is a city in Van Buren County. Evergreen Wellness Group: The Detroit dispensary located at 19705 W. Seven Mile Road is hosting an event that will feature entertainment and refreshments from noon to 7 p.m. It is open to marijuana patients. Utopia Gardens: The Detroit dispensary is hosting a block party from noon to 8 p.m. It will be open to all medical marijuana cardholders. Utopia Gardens is located at 6541 East Lafayette Street. The Reef: An event will be held at the Detroit based dispensary from 9 a.m. to 9 p.m. and feature raffles and entertainment. The Reef is located at 6640 East 8 Mile in Detroit. A free expungement fair taking place Saturday aims to help residents in Wayne, Oakland, and Macomb counties clear or reduce criminal records. The event will run from 9 a.m. to 1 p.m. today at Detroit's Oak Grove AME Church located at 19801 Cherrylawn Avenue. It is being held for people who would like to have felony records expunged. The event will feature attorneys who can help review the process and qualifications for expungement as well as assist in completing the forms necessary to begin the process. People with no more than two misdemeanors and one felony can apply. To be eligible for expungement it must be five years and one day after the person has completed his or her sentence of probation or parole. Bring a copy of records from the court if possible. Participants will be able to find out if they can remove their conviction from their record. Offenses that are not eligible for expungement are DUI's, traffic offenses, capital offenses and criminal sexual conduct. The goal of the fair is to reduce the barriers to employment. Reducing or expunging prior convictions allows people to fully reenter their community and society. For additional information, call 313-341-8877. Detroit police are searching for a man wanted in connection to a fatal shooting that happened on the city's east side Friday afternoon in the 600 block of East Street. According to police, the 23-year-old victim was shot by the gunman at the location. The victim had a dispute with the gunman who fired shots at him. The shooter fled the location on foot in an unknown direction. Police said the victim was transported to a local hospital where he died of his injuries. A photo of the gunman was released by police and can be viewed above. If you recognize the shooter, call police at 1-800-SPEAKUP. A LAKESHORE FLOOD ADVISORY is in effect for the shoreline of Sanilac and St. Clair Counties until 5 p.m. ET Saturday. A LAKESHORE FLOOD ADVISORY is in effect for the shoreline of Monroe County until 12 noon ET Saturday. Welcome to Easter weekend, Motown! Rainy conditions return to Detroit and southeast Michigan well before dawn. Drivers must be careful on wet roads and avoid any standing water. People with flights arriving or departing should check on flights to make sure they are still on time. It will be chilly with temps in the upper 30s and low 40s. Sunrise is at 6:45 a.m. ET. The Tigers are due to play the Chicago White Sox at 1:10 p.m. ET at Comerica Park. Rain remains in the forecast, so remember to wear a poncho while tailgating and watching the game. It will be chilly, too. Highs will be in the middle and upper 40s, so remember your jackets, coats and gloves, too. Hold on to your hats because it will be windy Saturday afternoon, too. North-northeast winds will blow at 16 to 24 mph. Saturday evening will be cloudy with showers. Temps will be in the middle 40s. Sunset is at 8:20 p.m. ET. Friday night will be wet, chilly and breezy. Overnight lows will be in the upper 30s. Downpours will be heavy, at times, overnight and Saturday morning. It's tougher to see flooding before sunrise, so use extreme caution on area roads. The area of low pressure responsible for rain leaves in time for Easter Sunday. The holiday will be sunnier and milder. Skies become partly sunny going to and from services. Temps start near 40 degrees for sunrise services. Sunrise is at 6:43 a.m. ET. Sunday afternoon will be partly sunny and mild. Temps reach the low and middle 60s. Showers return Monday, but it will be warmer. Daytime temps will be near or just above 70 degrees. Tuesday will be mostly cloudy and cooler with highs in the low 60s. Mostly sunny Wednesday and Thursday, with highs in the low and middle 60s. The Shores Theatre closed in 2006. David Harden wants to divide the theater into an entertainment venue and restaurant. He said the venue side would be used "for live music acts, possibly comedy during the week, maybe dueling pianos." Harden projects that he will need to spend about half a million dollars on the renovations, but he hopes reopening the theater will help keep his hometown thriving. "It's bringing back something that's been closed for 13 years," he said. "People in St. Clair are passionate. They love their city, and I think we can make this work." There was increased security in place at a Green New Deal event in Detroit on Friday after a Florida man was arrested for leaving threatening voicemail messages. The messages were left for Rep. Rashida Tlaib, Rep. Eric Swalwell and Sen. Cory Booker. Tlaib opened the event at the Bonstelle Theater and said she wasn't afraid. "I actually feel safer here with my people than anywhere else," Tlaib said. "For so much hate rhetoric, and you know, people ensuing violence because of my faith or the issues I stand for, it just makes me want to work harder." John Kless, 49, was arrested at his Florida home after leaving the threatening messages, according to police. The messages allegedly include obscenities and death threats and were left Tuesday. Kless was arraigned in federal court on charges of making threatening communications. Michigan State University researchers discovered that people who use marijuana are likely to weigh less compared to adults who don't. The study looked at people over a three-year period and while all participants showed a weight increase, those who used cannabis had less weight gain than those who had never used. The study also indicated that new and persistent users are less likely to be overweight or obese, overall. "We found that users, even those who just started, were more likely to be at a normal, healthier weight and stay at that weight," said Omayma Alshaarawy, lead author and an assistant professor of family medicine. "Only 15 percent of persistent users were considered obese compared to 20 percent of non-users." The actual weight difference among users and non-users was around 2 pounds for a 5 foot, 7 inch tall person weighing 200 pounds at the start of the study. "An average 2-pound difference doesn't seem like much, but we found it in more than 30,000 people with all different kinds of behaviors and still got this result," Alshaarawy said. Researchers aren't clear on what it is about marijuana that's affecting weight. Researchers said marijuana should not be considered as a way to maintain or lose weight. The study was published in the International Journal of Epidemiology. Click here for a link to the original paper. Anglers are allowed five walleye per person per day. The DNR Report All Poaching Hotline received a tip about the men. The tipster provided a vehicle description and said the men were driving from Detroit toward Grand Rapids on I-96 west. Conservation officers waited along the freeway for about an hour before they saw the vehicle and stopped it for changing lanes without a turn signal near Okemos Road in Ingham County. "We asked the driver to be honest and tell us how many walleye the three men had in their possession," Officer Jaime Salisbury said. "The driver hung his head and stated, 'Too many.'" A 28-year-old from Byron Center, a 38-year-old from Allendale and a 30-year-old from Jenison said they caught and kept too many fish from the Detroit River. The driver received a citation for failing to use a turn signal. Alll three men were issued tickets for possessing too many walleye. An Ingham County judge will determine the reimbursement fee and whether the poachers should lose their fishing licenses. Reimbursement is calculated by weighing each individual fish and then assessing the fee at $10 per pound. The legal walleye limit on the Detroit River is five 15-inch walleye per day. In addition to one day's daily limit, a person may possess an additional two daily possession limits of fish taken during previous fishing days, provided that the additional limits of fish are processed -- canned, cured by smoking or drying, or frozen). Police said the victim, a 23-year-old man, pulled up to a gas station in the 19100 block of Van Dyke in a 2001 Dodge Ram about 12:10 p.m. He got out of his truck and started talking to a man. As he was walking away, the man pulled out two handguns and started assaulting the victim before shooting him. The shooter fled south on Van Dyke on foot. The victim was taken to a hospital, where he is listed in temporary serious condition. 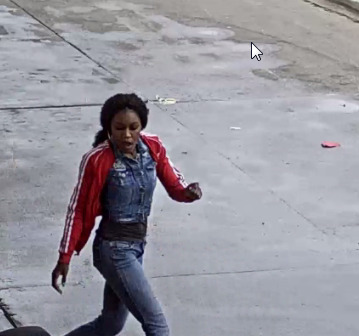 Police are trying to identify the shooter and a woman who was with him before the incident because she may have information. Anyone with information about the shooting is asked to call police at 313-596-1140, or Crime Stoppers at 1-800-SPEAK-UP. Detroit Red Wings legend Steve Yzerman was officially introduced Friday as the team's new general manager. "It is an extremely exciting day in the history of our franchise," Red Wings president and CEO Christopher Ilitch said. "I am thrilled to announce today that Steve Yzerman will return to the Detroit Red Wings in the role of executive vice president and general manager." A father allegedly shot a 2-year-old during a fight with the child's mother. Read more. Officials said a passenger's bag caught fire at the Detroit Metro Airport. Learn more. A Shelby Township family is voicing concern for neighborhood dogs after they encountered a coyote at their back door. Read more. A recall of a blood pressure drug has been expanded. Learn more. A fight inside a Detroit shoe store Friday spilled out into the parking lot, and then a man was shot and killed. Two people are being questioned in the case. The shooting happened at the Villa shoe store on 7 Mile Road and Gratiot Avenue. A gas station clerk who was stabbed by a man trying to shoplift a box of candy bars is coming forward to share his own story from 2017 as a warning to others. Tarek Salah was working at a Sunoco gas station on Greenfield Road in 2017 when a customer started yelling and demanding free stuff. Officials said a milky, white substance found in a Sterling Heights drain has been identified as concrete washout that was likely improperly pumped by a company. A resident discovered the substance while hiking near a creek, officials said. "I don't like looking at these kinds of pictures," Macomb County Public Works Commissioner Candice Miller said. Police are expected to announce a new direction for the investigation into the killing of two Indiana teens. Abigail "Abby" Williams, 13, and Liberty "Libby" German, 14, were found dead off a hiking trail near Delphi, Indiana, on Feb. 14, 2017. Authorities have not yet caught the killer. Officials at a northern Michigan resort say a 14-year-old girl has drowned in a pool inside the property. Boyne Mountain Resort officials said in a release Friday the teen was found unresponsive Thursday evening in three feet of water in the resort's Clock Tower Lodge pool. Attempts were made to resuscitate her by emergency workers at the pool and later at a hospital. The release says she was in the pool area with her parents and sister. It wasn't known how long she had been underwater. Boyne Mountain says its swimming pools are not staffed with lifeguards. The family was staying at an adjacent lodging facility. Officials did not identify the girl. Boyne Mountain is near Boyne Falls in Charlevoix County. Concrete washout is the material left over when concrete is made, experts said. It was discovered Thursday by a resident hiking by the creeks in the area of 18 Mile and Mound roads. The area is highly industrial, and Miller believes one of a few companies is to blame. "We intend to send them the bill," Miller said. "Taxpayers shouldn't have to pay for this." The bill could include the thousands of dollars for cleanup and state fines from the Michigan Department of Environmental Quality, Miller said. "Yes, they could fine them if they want to," Miller said. Now there's a boom with a catch curtain in the creek to get all the concrete washout from the water. Officials said that water will end up back in residents' homes. "All of this contamination finds its way into the Clinton River and Lake St. Clair," Miller said. "That is our drinking water supply, so we all have to be very cognizant." Miller said she doesn't know if there will be any long-lasting impact, but she said the washout has likely been in the creek for a few days. Allison Gombos let her puppy outside for a while before going back to sleep when she heard something outside. "We heard a thud slam in to our glass door wall," she said. "We thought it was a bird or a goose or something hitting that door wall." But it was none of those things. Instead, it was a coyote. "It was kind of a surreal moment," Gombos said. "We had our puppy out there just 10 minutes before, and I can't imagine if something had happpened to him." The Gombos family lives in a dog-friendly neighborhood so they alerted neighbors. "We just wanted to make sure everybody was vigilant and knew that this coyote was here. It was roaming. Just watch your dogs and make sure that they're safe," Gombos said. A fight inside a Detroit shoe store Friday spilled out into the parking lot, and then a man was shot and killed. Two people are being questioned in the case. The shooting happened at the Villa shoe store on 7 Mile Road and Gratiot Avenue. "Right now, we're still looking at the cameras in the area, and we're going to follow every lead possible and make sure we catch this person," Detroit police Capt. Keeth Williams said. Police said two men started arguing inside the store. Witnesses said the argument was over shoes. "Just shocked. Can't believe it, like I don't understand it," Todjah Torrance said. Torrance's nephew Dale Johnson was shot during the argument. "He was always smiling. My dad almost just died and he was there to hold me and calm me down. He was an all-around good guy. He was a family guy," Torrance said. Now Johnson's family is looking for justice. "To anybody, if you seen anything, can you please come forward? He didn't deserve this," Torrance said. Police said the shooter was wearing a gray jogging suit and he was driving a white older-model Mercury Grand Marquis with a red roof.